brokenclay.org/journal > Life with a Disability > Exercise/Sports > Featured on Stumptuous! 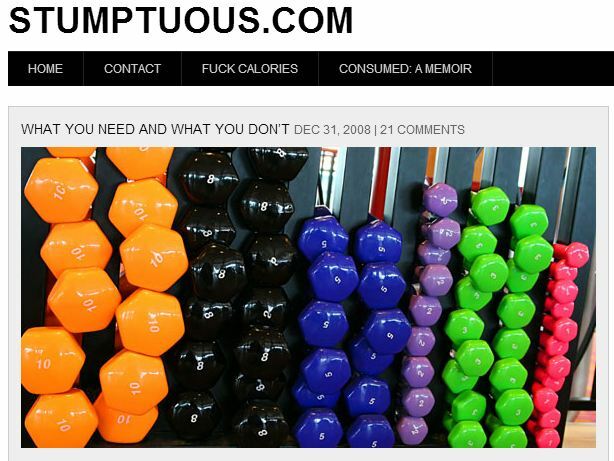 I’ve been a fan of Mistress Krista’s website Stumptuous since I started weight training. This website is primarily aimed at women, although there seem to be plenty of men who also like Krista’s straight out, tell it like it is philosophy. Krista advocates using free weights, lifting heavy, and eating right (I don’t know how many times I’ve told people that the way to lose weight is to do plenty of Fork Putdowns and Table Pushbacks – that’s straight from Krista). I’m featured on the site today at Training with MS: Katja’s Story. Be sure and check out the Training section—there’s something to learn there whether you’ve been lifting for years, or are just thinking about picking up a dumbbell. Oh you are soooo fabulous.